ROSEMARY: On August 13th, MWA is holding another session of MWA University, this time in my home chapter of New York and featuring - not only two of our very own Jungle Reds - Hank and Hallie - but award-winning mystery writer Reed Farrel Coleman. I asked Reed to tell us how this incredible opportunity got started. RFC: About five years ago, right after my term as Executive Vice President of MWA ended, I began teaching mystery and genre writing at Hofstra University on Long Island. I teach an accelerated summer term during which the students attend class for four hours a day, five days a week for two consecutive weeks. It struck me during my second year at Hofstra that there had to be a way to accelerate the process even further. This was also during a period when new writing classes and workshops were sprouting like weeds. For me, the sad part of these new classes and workshops was that they didn’t actually focus on writing at all … not unless you consider composing a query letter writing. I have always believed and continue to believe that the vast majority of a writer’s energy needs to be spent on the writing itself. That finding an agent, finding a publisher, and developing a marketing strategy are concerns to be tackled after a writer produces the best work possible. Unfortunately, I found that even many of my own students were more concerned with agent hunting, marketing schemes, and ideas on how to spend their millions than on writing. I began to develop an idea for a one- or two-day event to be held at Hofstra that, for the most part, would focus on the writing skills necessary to produce good work. I went to then-EVP Harry Hunsicker with the idea of MWA co-sponsoring the event and calling it MWA University. He was enthusiastic about the concept. Then, at the time we were ready to move ahead, the economy went south. About two years ago, Larry Light, the current EVP, and I had a conversation. He remembered my MWA U concept and asked me to revive it, to make it something MWA could offer to the chapters as a benefit, a recruiting tool, and, more importantly, as a program in keeping with the spirit of MWA. I agreed to co-chair the Education Committee with Hank Phillippi Ryan who was as enthusiastic about the idea as Larry and I. Hank, Jess Lourey, Dan Stashower, myself, and the rest of the committee worked at it for many months and came up with a proposal for the board. With little alteration, that proposal is what MWA U is today: six hours of college-level writing instruction for the nominal fee of $50. These six innovative sessions are not your grandma’s writing classes. New and original techniques are employed to make the best use of the time. The classes include instruction on the process of developing an idea into a novel, on setting, on plotting, on character, and on editing. The last class is usually taught by Hank, and is less writing instruction, per se, than inspiration to write. If listening to Hank doesn’t make you want to run through walls to get home and go to work, I don’t know what will. Our goal is not to make money. It is to give people with a dream a chance to take one step closer to reaching it without bankrupting themselves. Dreams shouldn’t be held prisoners of a bad economy or tough circumstances. MWA U is a way for us to give back to the mystery community, to let people know we’re all in it together and that we want you to be successful. There’s room for all of us. Do yourself a favor by joining us on August 13 for what promises to be a great day. MWA members and non-members alike are welcome. Your dreams are welcome too. Reed Farrel Coleman has been called a hard-boiled poet by NPR's Maureen Corrigan. He has published twelve novels—two under his pen name Tony Spinosa—in three series, and one stand-alone with award-winning Irish author Ken Bruen. His books have been translated into seven languages. Reed is a three-time winner of the Shamus Award for Best Detective Novel of the Year. He has also received the Macavity, Barry, and Anthony Awards, and has been twice nominated for the Edgar® Award. 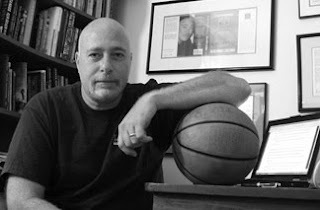 He was the editor of the anthology Hard Boiled Brooklyn, and his short fiction and essays have appeared in Wall Street Noir, The Darker Mask, These Guns For Hire, Brooklyn Noir 3, Damn Near Dead, and other publications. 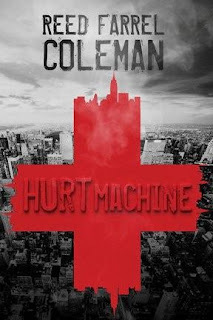 Visit him at www.reedcoleman.com and look for his latest release Hurt Machine, 10/2012 from Tyrus Books. To find you with the working girls in the county jail"
Guess the title and artist and you'll win a signed copy of Dead Head. Good luck!! My Old School, Steely Dan. My experience, never pay attention to Austin. You're killing me. Tomorrow, you're doomed. This such a great idea, and HURRAH for Reed, Hank, Larry Light, and everyone who has contributed to the concept of MWA U. My chapter (SW) is organizing an MWA U in New Orleans in the fall, and I hope we can bring MWA U to Dallas in the spring. I'd have KILLED for something like this when I was first starting to write . . . Yes, truly--it's a fantastic day of insight and inspiration and real solid teaching of skills--and as astonishingly good deal. And Deb--will you be in New Orleans?? That would be so great..
Love the pic of Reed and the basketball. But you need a third item if you're going to play "One of these things is not like the other." My verification word: fachzzle. "Fachzzle, I like teasing my homeie, Reed." I'm not laughing, truly, I'm not laughing. I don't have the--my word--terve. So there's Reed in his office contemplating a basketball. Reed, if you're checking in, what's your take on noir? Is it alive and well and what is it? Someone asked me and I wanted to demur to you. MWA U is very special - have done it twice and I do think it's brilliant, lotta bang for the buck. Invest a day, get back so much more. Every time I go to teach I learn. Ye,I so agree Hallie! I learn something new at every session.